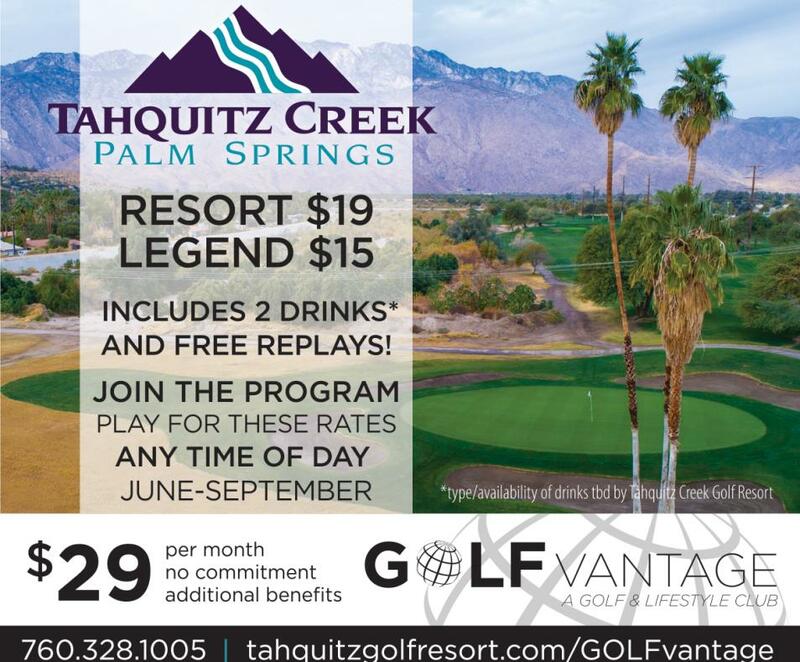 Tahquitz Creek Golf Resorts has an unbelievable membership offering GOLFvantage for only $29 a month. 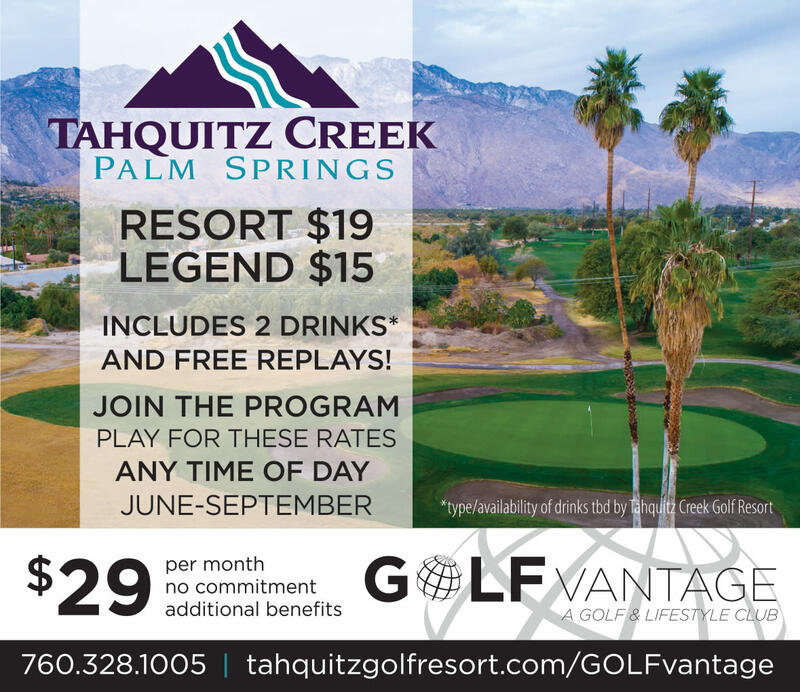 GOLFvantage benefits include access to both courses, $19 on the Resort Course and $15 on the Legend Course. Rates include cart and two drinks. * Benefits also include range balls daily, handicap service and free PGA instruction. Click Reserve Now to join this summer membership and start reserving your tee times.